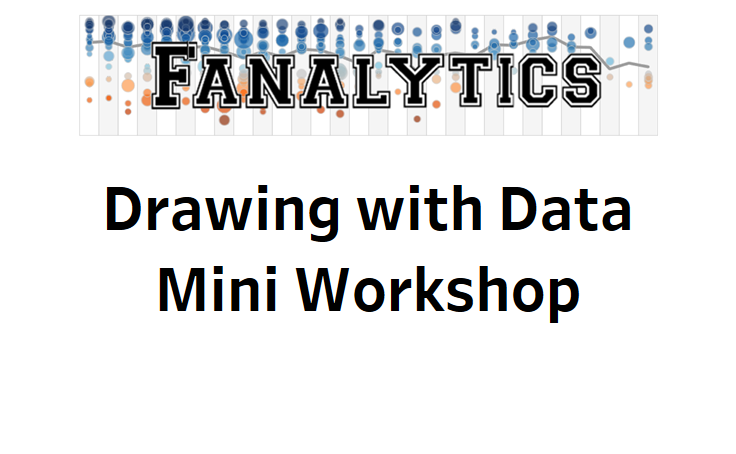 This post is the third installment of a recap series on Fanalytics 2018, a community event organized during Tableau Conference. The first post summarized the presentations given by our guest speakers, and the second post gave an overview of roundtable discussions. If you are beginning your Tableau Public journey, read on! This post links to some great training material created just for you. 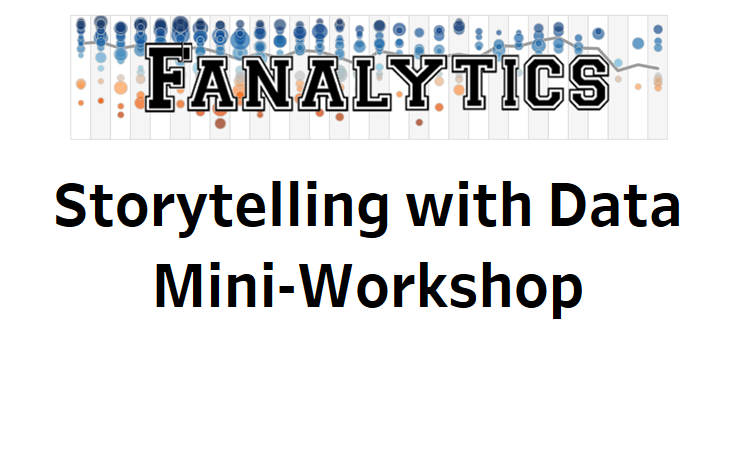 As we had noticed at Fanalytics 2017 that some attendees were new to the Tableau Public world, and not necessarily strongly opinionated on hot topics in the community, we decided to have beginners workshops running in parallel of table discussions this year. Again, we were looking for passionate Tableau Public users ready to share their knowledge on topics such as basic web scraping and storytelling with data. Soon after posting a call for volunteers on this very blog, we had a crowd of twelve talented authors ready to help newbies kick off their first Tableau Public project. As they were essential to welcoming newcomers at Fanalytics and to the success of the event, it's only appropriate that we thank them over the Thanksgiving holiday! Michael Perillo, Bj	Price, Emily Tarng, Ludovic Tavernier, Ravi	Mistry, Amanda Monzon, Nicole Lohr, Timothy Ngwena, Lindsay Betzendahl, Lorna Eden, Crystal Meyers and Sean Miller, the twelve of you have our eternal gratitude for your enthusiasm and willingness to share! What Were the Mini Workshops About? Quantified Self Data Collection: Discover ways to easily collect personal data that you can visualize. Drawing with Data: Learn how basic geometry allows you to create beautiful custom charts. Storytelling with Data: Explore storytelling techniques to make your visualizations memorable. Do you want to deep dive into this training material? Just click on the above thumbnails to access the training material. All of the Mini Workshops workbooks are available for download, so that you can use and deconstruct them! If you're looking for data on a niche topic, start with Basic Web Scraping! 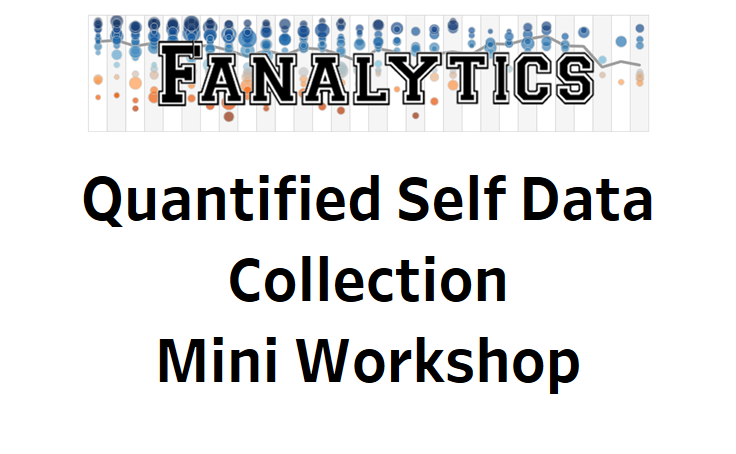 If you want to learn about yourself, go get inspired by Quantified Self Data Collection. And if you're craving for new ways to show your data, Drawing with Data and Storytelling with Data can probably spark your creativity! Now, enough reading! Download the app, create a profile, and kick off your first Tableau Public viz! We are looking forward to seeing the results.